The severity of a single diabetic ketoacidosis event experienced by young children with T1D may be a contributing factor to the effect of ketoacidosis on brain development. 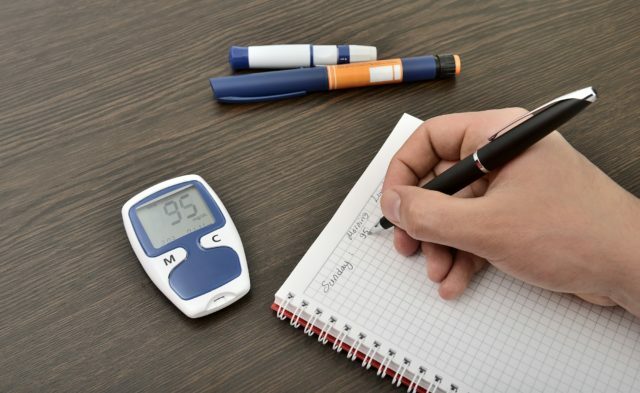 In young children with type 1 diabetes (T1D), even a single episode of moderate/severe diabetic ketoacidosis can have long-term effects on the developing brain, according to study results published in Diabetes Care. The investigators of this study sought to determine if the severity of a diabetic ketoacidosis event in young children with T1D is associated with impaired cognitive function and changes in the brain’s structural development. The study sample included 144 children, ages 4 to <10 years, with T1D who were recruited from the Diabetes Research in Children Network study performed across 5 United States clinical centers. Diabetic ketoacidosis events were reported by the families and were confirmed by medical records; participants with usable imaging data were categorized according to diabetic ketoacidosis severity: none/mild (n = 98) or moderate/severe (n = 30). At baseline and at 18 months, participants underwent unsedated magnetic resonance imaging scans and completed a cognitive battery using age-appropriate measures to test intelligence quotient, executive functioning, learning and memory, and processing speed. To compare the effect of diabetic ketoacidosis severity, investigators performed additional analyses matching 30 participants with moderate/severe diabetic ketoacidosis to a subgroup of 30 participants with none/mild diabetic ketoacidosis by age at enrollment and glycemic exposure. In the overall sample, no participants with a history of diabetic ketoacidosis reported >1 episode, and the time from diabetic ketoacidosis event to first structural and cognitive assessment was a median of 2.9 years. After 18 months, more growth of regional white matter volume and gray matter volume was observed in the moderate/severe diabetic ketoacidosis group compared with the none/mild diabetic ketoacidosis group when matched for age and hemoglobin A1c (P <.04). Cognitive performance scores were significantly lower at 18 months in children with a history of moderate/severe diabetic ketoacidosis vs children with none/mild diabetic ketoacidosis (P =.03). When participants were matched by age and glycemic exposure, cognitive performance results were consistent with the full sample. Limitations to the study included a small sample size for the moderate/severe diabetic ketoacidosis group. Analyses were not performed at the time of diagnosis, limiting the ability to assess the acute effect of diabetic ketoacidosis on participants. Finally, whole-brain imaging techniques may be less sensitive to differences in smaller subcortical brain structures. The investigators suggested that the severity of a single diabetic ketoacidosis event experienced by young children with T1D may be a contributing factor to brain development and reduced cognitive performance. Future studies should assess diabetic ketoacidosis severity in a larger pediatric cohort and whether earlier screening of T1D in children with increased risk can help prevent occurrence of diabetic ketoacidosis.